I recently heard about Landie Greyling when my company, KPMG, announced a sponsorship of the trail blazing superstar. Landie has had a remarkable rise to the top and has won numerous races including the Otter Trail, the Skyrun, African X and Two Oceans Trail. The more I heard about Landie the more I knew that I had to chat to her and find out about what makes her tick! Jabu: Every race you touch seems to turn to a win, what makes you that bit better than your competitors? Landie: I believe passion and really enjoying what you do, gives you that edge. I simply love being on the trails, and the more challenging and technical for me, the better! 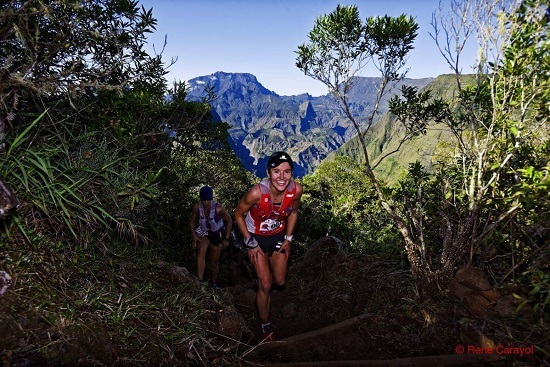 Jabu: Having won the Skyrun, African X, Otter Trail and Two Oceans Trail, which of these stands out for you the most and why? 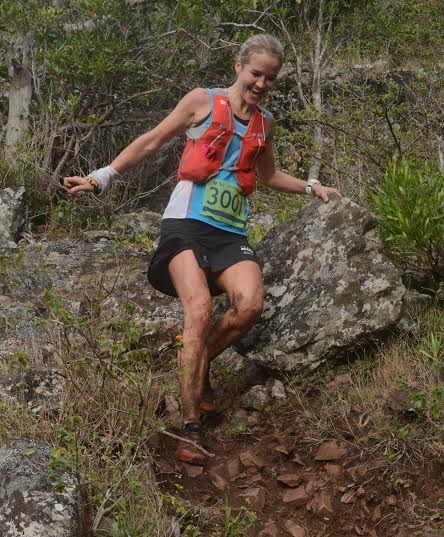 Landie: Each of these experiences was so unique, but I will probably never forget the moment I became the first SA women to run the Otter under 5 hours in 2013. 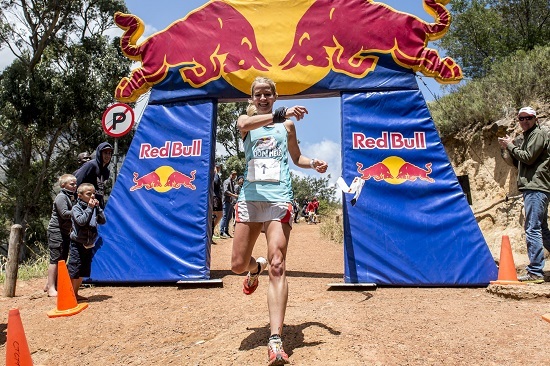 It is after all, South Africa’s most iconic trail run. Jabu: You have recently signed a sponsorship with KPMG, what does that mean for you? Landie: I am very proud to be associated with KPMG. Their professional approach, enthusiasm and support has been remarkable and I am very excited to build our brand together. Jabu: Your racing takes you around the world as well as needs hours of training, how important is your support structures at home? Landie: Without the incredible and loyal support from my husband, my parents and my friends, I would certainly not be able to do and achieve what I have. Being surrounded by people who believe in you and care for you, makes living your dream possible. Jabu: How much do you train in a week? Landie: It all depends on which distance and type of race I am training for, but a typical week would generally be around 20 to 25 hours of training, which includes strength, yoga and running sessions. Jabu: As a long distance trail runner, would you ever consider doing the Comrades marathon if coupled with a Valley run? Jabu: What is the next big goal for you? Landie: My husband and I are taking part in the Goretex-Transalpine, an 8 day trail run which starts in Germany, crosses over Austria and finished in Italy. The total distance is 268km with a vertical gain of 16310m. The race takes place from 29 August to 5 September. Jabu: Have you had to overcome any significant injuries over the couple of years? Landie: I have been very blessed and cannot recall any significant injuries in the last couple of years. I believe regular massages, yoga, pilates and Activepatch4u (www.activepatch4u) is very important and has kept me injury free. Jabu: How have your sponsors helped you now that you are running internationally more? Jabu: Do you think trail running could ever become an Olympic / Commonwealth sport? Landie: Yes, once all the various Trail running, Mountain running and all other associations have sorted out their politics and differences. Jabu: All Things Jabu is a blog about all sport, what other sports are you a fan of / participate in? Landie: I also enjoy mountain biking and paddling, and I love to watch Tennis and Athletics. Jabu: Lastly, where can our readers keep up to date with All Things Landie? Jabu: Thanks so much Landie, good luck for your upcoming races. We will be supporting proudly! All images are courtesy of Landie’s website.